Welcome to another What’s Up Gears fans! Every Thursday, we’re here to bring you the latest and greatest news, community content and more from the Gearsiverse. 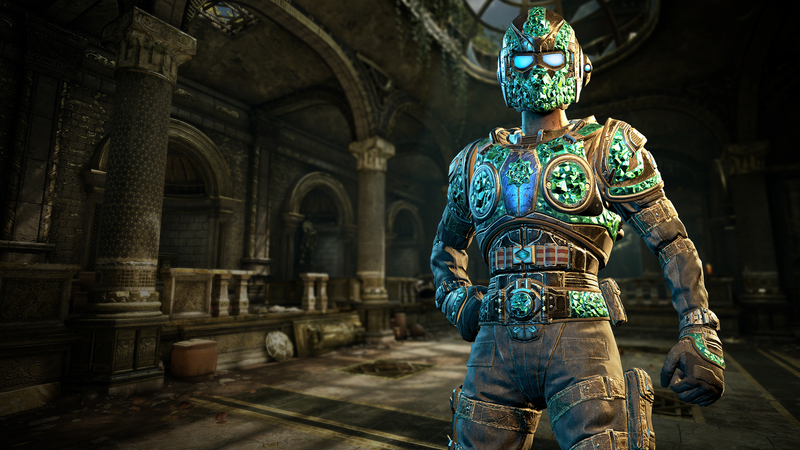 Hear “Hostiles!” on the wind once more with one of the most popular enemies in Gears history – the Theron Guard! 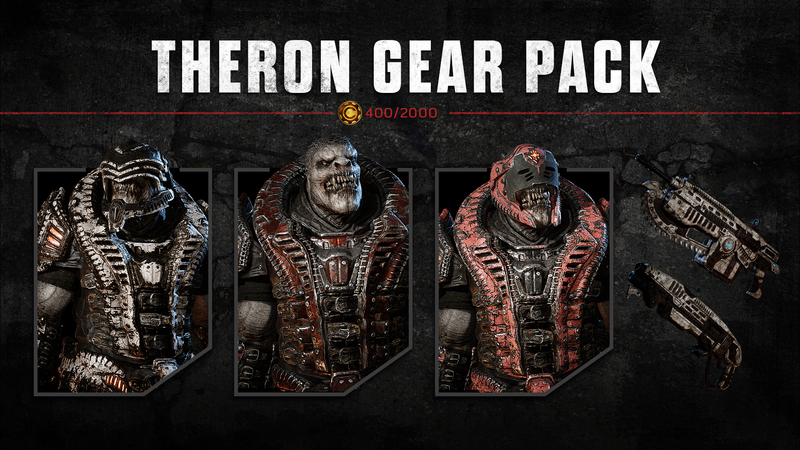 This Theron themed Gear Pack is packed with three awesome Theron variants – the classic Theron Guard, the Helmetless Theron Guard and the Savage Theron – and a Savage Theron themed weapon skin set. Get your Theron on beginning Friday 18th January – Thursday 24th January, available in both 400 Credit and 2000 Credit Gear Pack variants. As with all our recent packs, each character and weapon skin set included in the Gear Pack is also available for individual direct purchase! Don’t forget to claim your reward once you’ve completed your challenge at My Rewards. Challenges can also be tracked in the Xbox Guide in your Gears 4 achievement list. We’ve been looking at the numbers and it seems a LOT of you out there are loving 50% bonus XP Gnashers Only KOTH and Horde Mania! Both events will be around for a couple more weeks. Look for more news on our next events yet to come in next week’s What’s Up. Greetings Gears, Vectes here, back with our Gears Creator Spotlight. The Gears Pro Circuit Mexico City Open is upon us – what a better way than featuring some great players from the best Gears teams out there during the next few weeks, right? Please meet Jesse Lo Conte AKA “Eskamani”, coach and analyst for the Rise Nation Gears of War Team. Eskamani has been playing Gears since the release of Gears of War 2 back in 2008. 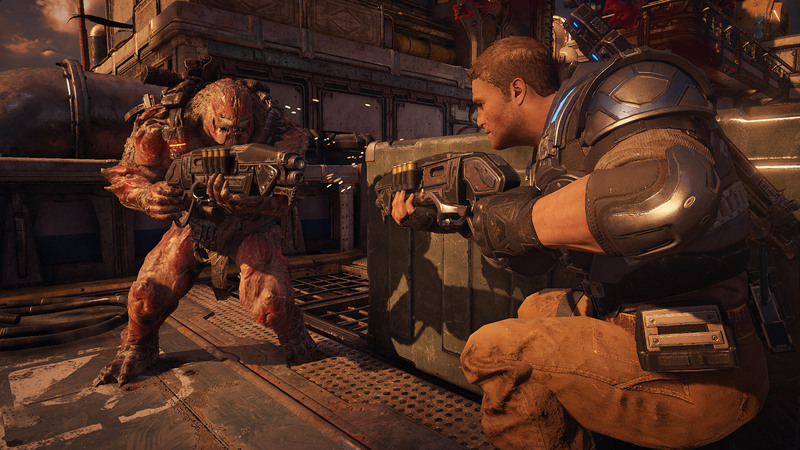 Being it was the first game that he fell in love with, Gears 2 is his favorite of the series, with Marcus his favorite character (“I feel like I have known him for most of my life”). He entered the Pro Scene between season 1 and 2 after being a huge fan for the first season. From there he started to work with 2 of his current teammates on Red Reserve, Drix and Keem. After his Vanquish team placed top 8 in the last Mexico City event, he got the offer to work with the Rise Nation in February of 2018. According to him, the hardest thing about coaching is figuring out how to get through to each of your players. Each player on your team receives and responds to criticism differently, and it is your job to get the most out of each player. Eskamani frequently streams on his Twitch channel, where he mainly focuses on ranked gameplay with his team and viewers. Send him a game invite! His Gamertag is Rise Eskamani. You can also keep in touch with him on Twitter. Are you a Gears Video Creator in the community? Tweet a link to your channel to @CoalitionGears with #WhatsUpGears for a chance to be featured in What’s Up next week! Everyone featured will receive the TCA Commendation Lancer. The Classic Golden Gear Challenge to earn 150,000 Score in Versus Public Playlists (except Co-Op vs Bots) is now active! Join us later today at 3PM PT/ 6PM ET for our Gears Weekly Live Stream from right here at The Coalition. Claim another Canadian Omen skin for free (Overkill today), play Gears 4 with us and get your questions answered.